What is the finish on the seat tilt adjuster? Is it chrome or just a mat finish steel. Definitely not chrome. Just steel with no paint I can see. It does discolor or get surface rust over time. IIRC that's a flat silver zinc plate finish on it in the pic above. If you're needing to refinish yours, then you can group other similar finish parts & take them to your local plater, or Bruce Stone/bdstone on here may have some which he's restored. Matt finish.....here are close up photos from when I cleaned the interior of my low mileage '74 2.0L. Tony, I noticed that you're located in Hilltown.....I live very near you. I sent you a PM. 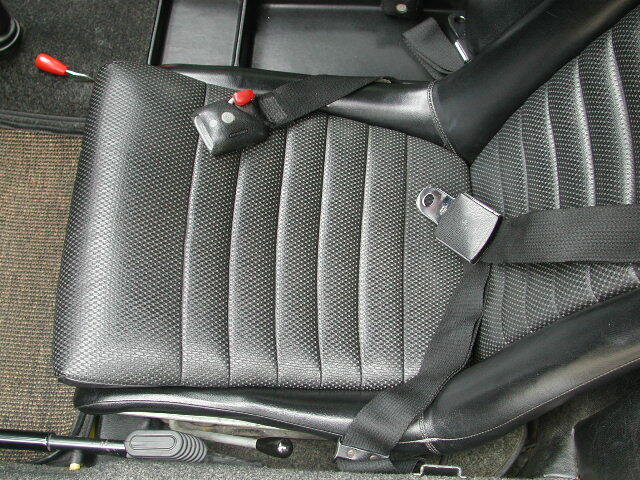 Are there replacement knobs available for the seat tilt adjuster? Hi, where did you get the boot for your hand break? That looks good.